Sunday Selfies : All present in the heat wave! Fashion Friday : Pandas and Watermelon. Duffy," Welcome to another edition of Fashion Friday! This week, I will be modeling my panda bandana! It's another one of my favourites on account I love pandas!" Duffy, " The panda faces on my bandana are so sweet and naive looking, that it's difficult not to be in a good mood every time I wear this bandana!" 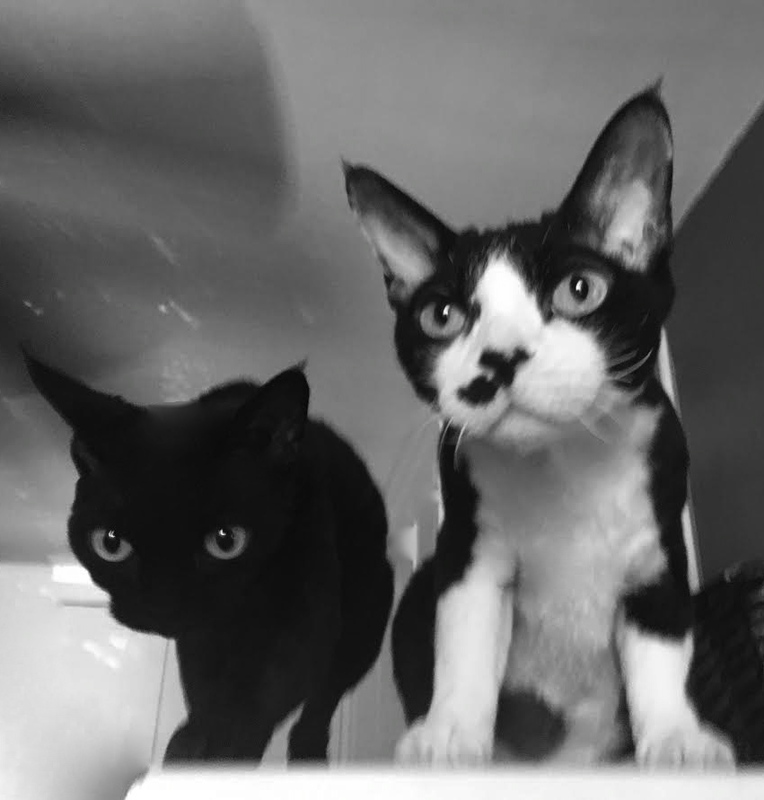 Duffy, " I decided to ask the Wild Sisters if they wanted to model anything themselves but Avalon politely declined!" Duffy, " Wilhelmina, on the other hand, said yes! She would like to show you her watermelon collar and bows." Wilhelmina, " I am wearing my watermelon ensemble, in the hope of keeping cool. We are experiencing a heatwave here in Vancouver!" Wilhelmina, " Hellloooooo. Anybuddy home?!!" 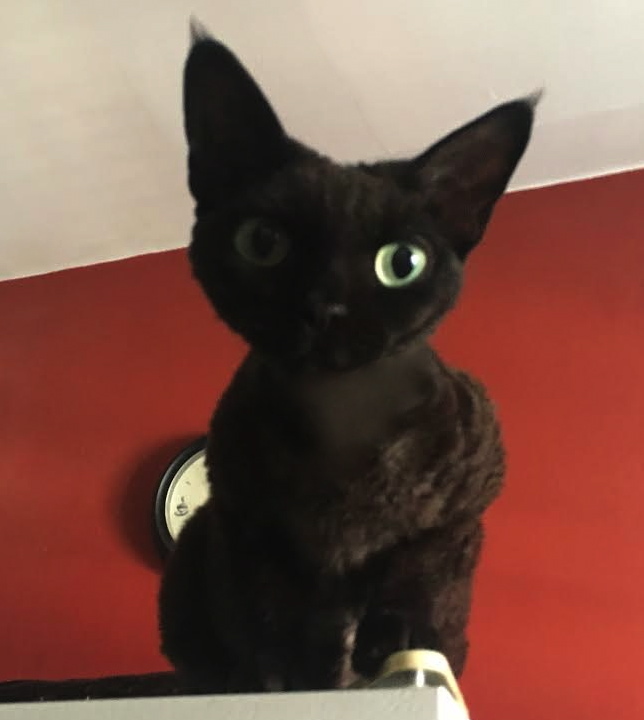 Avalon, " Wilhelmina! Over here! Let's play, play, play!!" Duffy, " I must admit, they are enjoyable to watch. Especially if I am away from the firing line!" Duffy, " So long my Wild Sisters!" Duffy, " Here is my best pose." Wordless Wednesday with Levon : What dog bed?! Sunday Selfies : One, two, three , four , five dogs! 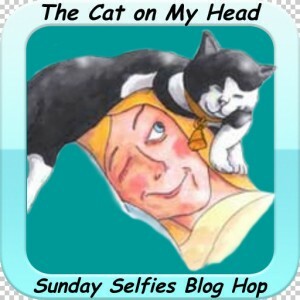 We are joining all the kitties at, The cat on my head, for Sunday Selfies! This week the dog squad showed up in increments! We hope you enjoy our efforts. Two dogs : Wilhelmina and Avalon. Three dogs : Duffy, Avalon and Wilhelmina. Four dogs : Duffy, Avalon, Mia and Nymeria. Five dogs : Duffy, Wilhelmina, Avalon, Mia and Nymeria. Fashion Friday : Duffy at the hair salon with his lion bandana! Duffy, " I am waiting patiently for someone to notice me at my humom's hair salon!" Duffy, " Oh alright then. That just might be a little white lie! I get noticed A LOT when I come here!" Duffy, " I am now sitting at my favourite stylist's station, after having thoroughly explored the entire salon! The stylist's name is Roo and she LOVES me!! She said so herself! I believe her EXACT words were, " I love you Duffy!! Can I take you home this time?!! Pretty please?!!" She has been carrying me around, whispering sweet nothings to me and feeding me as many pieces of pupperoni as I need, in order to keep my strength up, is how she explains it!" Duffy, " Can I be frank?! Everyone here LOVES doggies! When I come to the salon with my humom, I feel like a celebrity!" Duffy, " It's a lot of . . . Duffy over here, over here Duffy, look over here sweetie! Can I take a pic? Oh my gosh those ears! Duffy you are sooo adorable!! Duffy, over here. Look over here!" Duffy, " Today I am wearing my bandana with lions on it and the lovely ladies at the salon, love it as much as I do!" Duffy, " Can I tell you a secret? I'm the only one who gets to come to the salon with my humom! 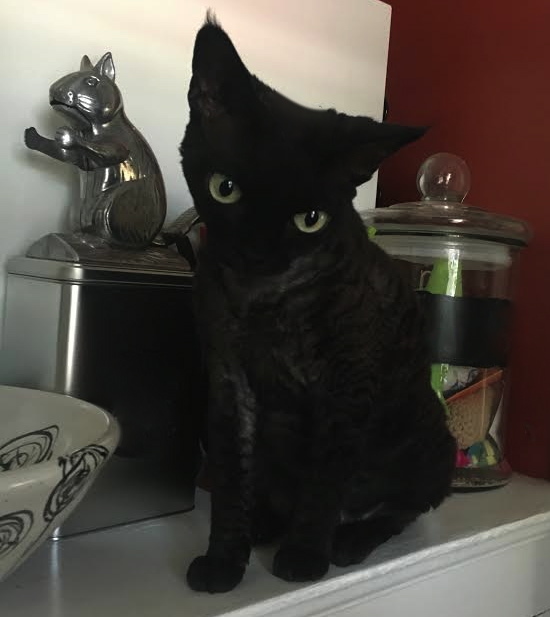 Wilhelmina came once when she was a wee puppy but my humom said it was like watching a bull in a china shop and that she would never do it again!" Duffy, " Here's a little something for the wild, Wild Sisters! But not a mean one. It's just that most of the time I am overshadowed by those two big baboons . .. I mean, girls!!"